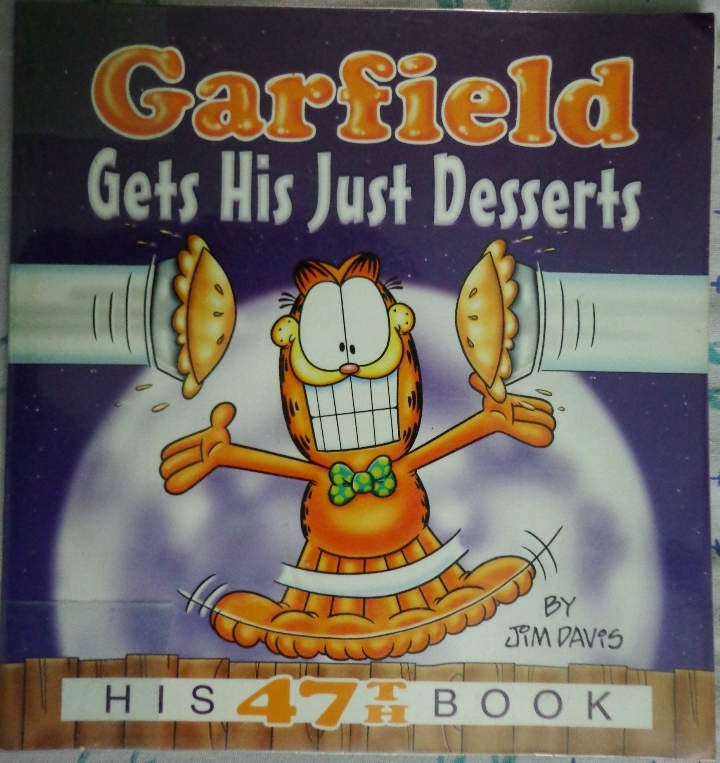 Why it is Difficult to Collect Garfield Volumes. 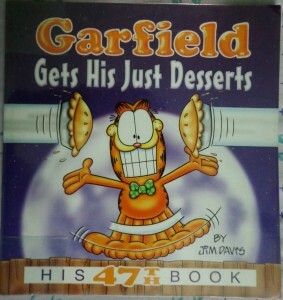 I have tried buying a lot of Garfield collections – mostly for my sister. 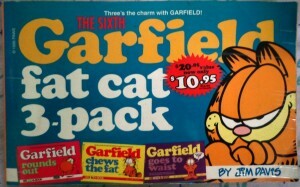 I faced considerable difficulty in collecting the strips. This can be primarily attributed to the fact that these strips have been irregularly collected by various publishing companies. 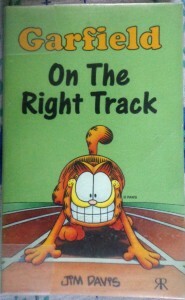 First off, we have those licensed by an Indian publisher, Euro Books. 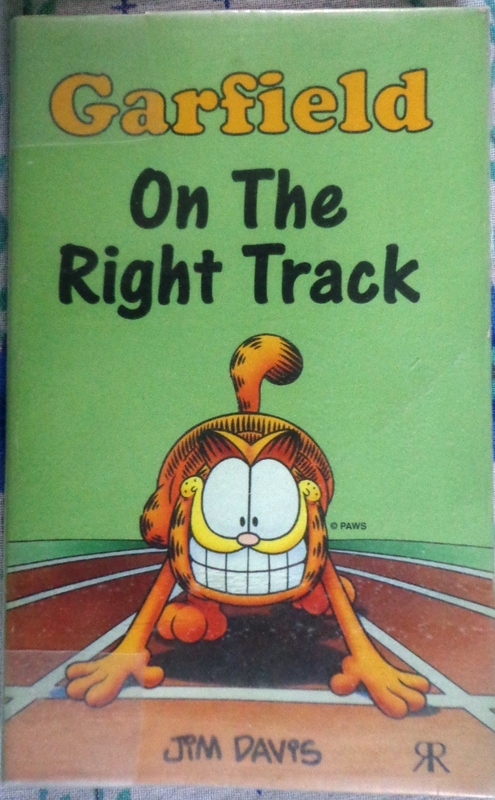 The back covers of their solo books clearly list out all the 24 titles available from them. The folks at Euro Books have also collected three of these thin paperbacks into a similar sized, thicker paperbacks. All 24 books have been collected in 8 three-in-ones. The following three-in-one contains the above collection, too. On another note, the Euro Books website is one of the worst websites I have seen. It totally fails as a cataloging platform (especially since they translate and publish important BD strips like Lucky Luke, Iznogoud). Not to mention, it looks like it was probably made by a school kid who has just learned putting together few images on some archaic tool like Frontpage. Then, we have a few collections by Ravette Publishing. 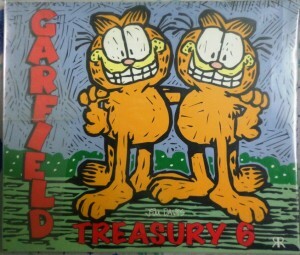 This particular copy depicted below is from 1997. 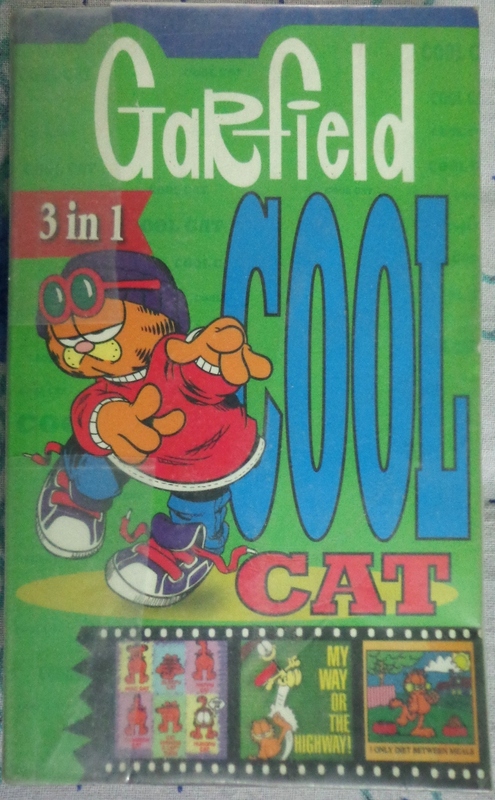 The last page lists 33 such collections. Their website, albeit with a bit more pro look, has nothing but contact information listed. There is no catalogue information. 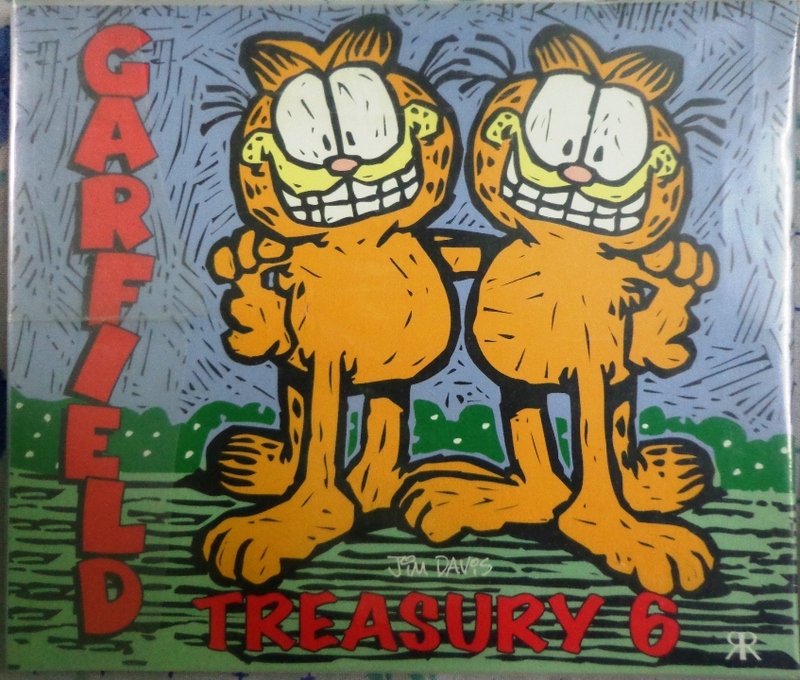 Ravette also released a few full colour treasuries / omnibus volumes in wide format. 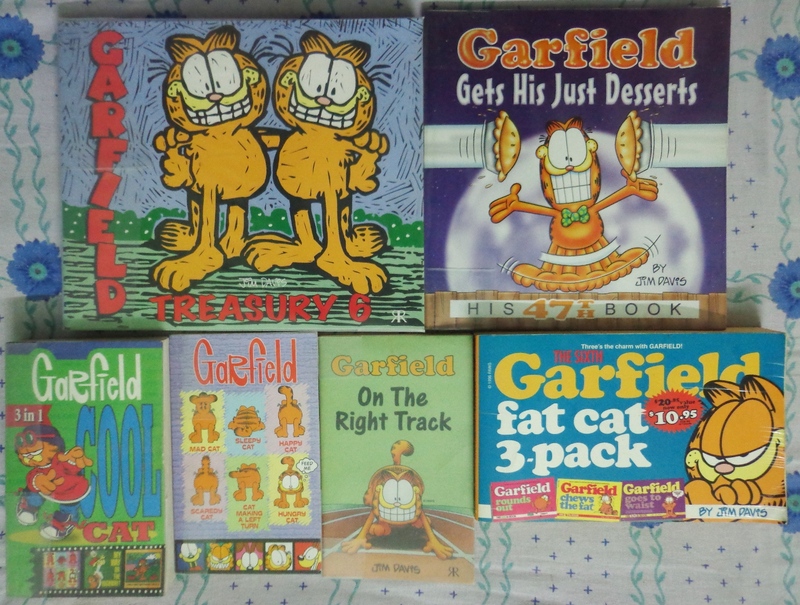 Finally, there are Garfield collections published by Ballantine books. Owned by Random House, this series is properly catalogued. A simple search on Random House’s website yielded quite some relevant results (here). There are a few short collections akin to those by Euro Books and Ravette, I do not have any individual volume pictures but here is a three-in-one budget pack. Ballantine books also publishes full colour wide format books like Ravette. These individual publishers collect strips in their own way. Unlike Calvin and Hobbes collections, there is no chronology maintained. It becomes pretty difficult to collect these strips in book format. 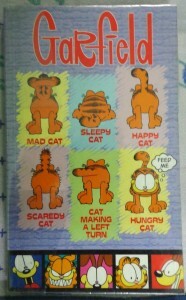 I hope that Jim Davis‘ publishing company, Paws, Inc., does something about it. 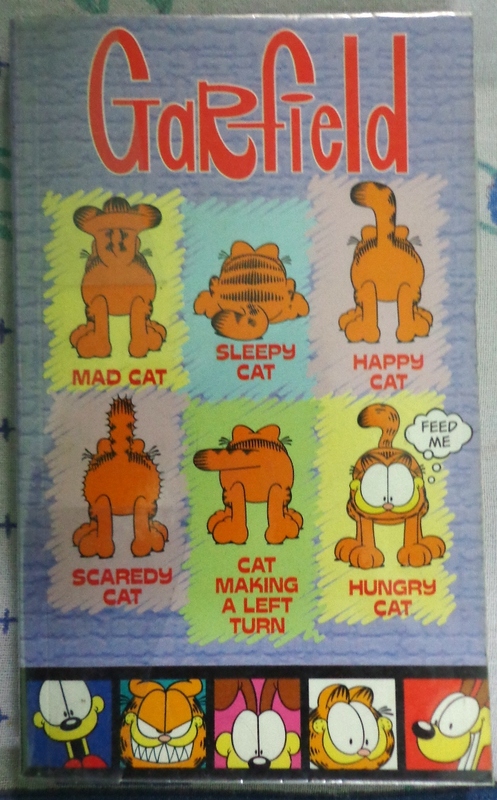 For the time being, if anyone is interested in collecting Garfield strips, I would strongly recommend the volumes by Ballantine. As a relative measure of their sizes, here is a group shot of the books.